Please call 83774413 if you would like to book for a service online or simply to send us an enquiry. drainage piping (to prevent leaking) and checking for your air conditioning system. or 4 air con services per year (for Quarterly Contract) at a regular interval. The aircon servicing involved a very thorough chemical overhaul / wash of the air conditioning unit. The service is needed when a general cleaning of the aircon unit does not improve the condition. This service provide advice to customer on the cost of repair for air conditioner breakdown. It also help to evaluate the condition of the equipment and advise on the on the most economical solution..
1) Discount not applicable for installation work and contract maintenance. Discount rate for installation work and contract maintenance will be considered on a case to case basis. 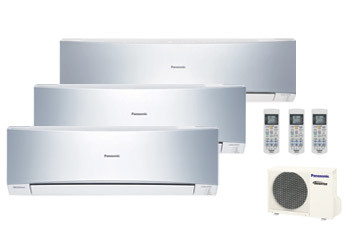 2) Discount not applicable for purchase of air conditioning equipment and parts. Discount rate for purchase will be considered on a case to case basis. 3) Voucher cannot be used in conjunction with Citibank promotion. 4) Exclusive to Citibank Business, Business Gold and Corporate credit card. Kindly contact our coordinator first to verify if credit card number is entitled to promotion. Disclaimer: We regret to inform that the website may not list the latest information and charges. Please contact the company for confirmation of all information and charges. Protection of Minor: Children (users under the age of 18 years) are not eligible to use our services or purchase any products online unsupervised. We request that children do not submit any personal information to us online. If you are under the age of 18 years, you may only surf the Site only if you have obtained consent from your parents/legal guardian or if you are under the supervision of your parent or legal guardian.